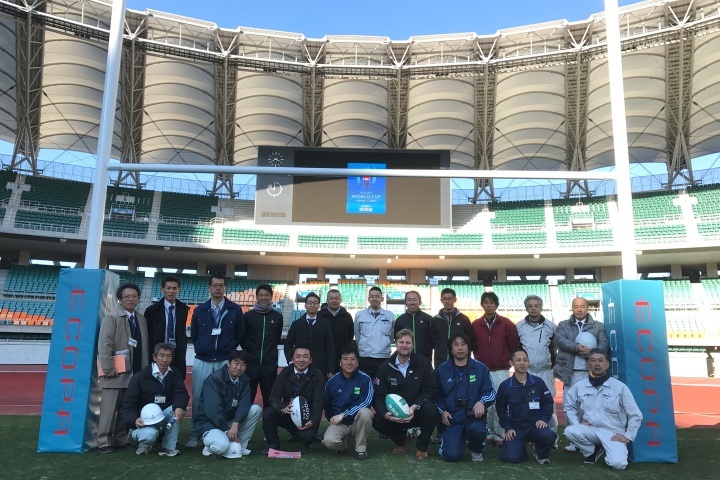 With under 1,000 days to go until Japan host the 2019 Rugby World Cup Finals for the first time, Harrod UK made a special trip over to the land of the rising sun to visit 2 of 12 venues that have been confirmed to stage the tournament matches. Harrod UK's Sales Development Manager, John Robinson made the 13 hour flight to Tokyo to soak up some of the anticipated atmosphere that has already been generated by this fantastic tournament. John commented "This fascinating country and her wonderful people are starting to embrace the tournament already, and we're still 2 years away! It's going to be phenomenal place to be once the tournament commences". 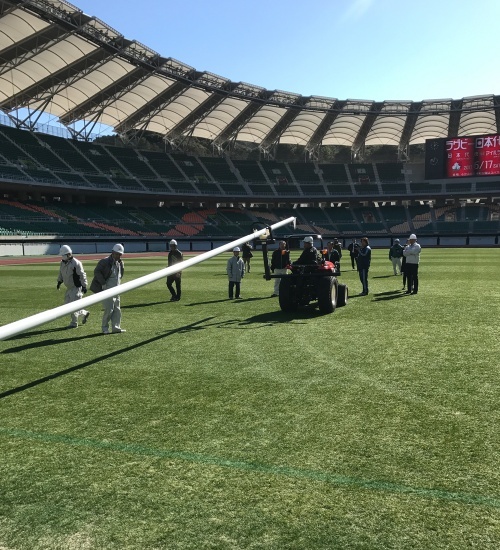 The Shizuoka Ecopa Stadium in Fukuroi is the first stadium to install a new set of Harrod UK's, 17m Millennium rugby posts. When quality equipment is required for major events, the UK's leading sports post manufacturer were once again, the first port of call. John goes on to say "We have a very proud history of supplying and more importantly, delivering to many major sporting events across the UK and around the world. Overseeing the installation of this first set of rugby posts into the Ecopa Stadium was a special moment, especially when I was invited to kick the first goal through their new posts. It was an invitation I couldn't refuse despite having a half dozen film crews zooming in on my technique!" Kofu Field Co. are Harrod UK's official distributors in Japan. They are now busily putting together proposals for the remaining stadia over the coming months. The Sapporo and Kumamoto Stadiums will bring its challenges for their rugby post installation because of their retractable (floating) pitch. A challenge that Harrod UK will thrive on to execute!